Reviews and Testimonials: Some kind words from D-Day Tours clients. Some of our clients have been generous in their praise for the tours they took. It’s always good to hear that the tours are enjoyable, interesting and that I have been able to convey some sense of the scale, scope and importance of one of the greatest military operations in history. Sincere thanks to everyone for their kind words. You can also see some equally kind reviews on the D-Day Tours TripAdvisor page. experience come alive with your stories and expert knowledge. It’s barely a week since we returned home to the states from a wonderfully memorable trip, of which you and Malcolm were such a big part. I think that by now, Malcolm might have mentioned to you what I had revealed to him in the last few moments of our tour – I am a Private Tour Guide in New York. Of course I did not want to reveal that info prior to or during our tour with Malcolm, because I knew it could make a fellow guide just a wee bit uncomfortable about being judged. Malcolm was a masterful tour guide and mad our tour of the D-Day Beaches and the Normandy area so much more remarkable, revealing, but most importantly – moving. 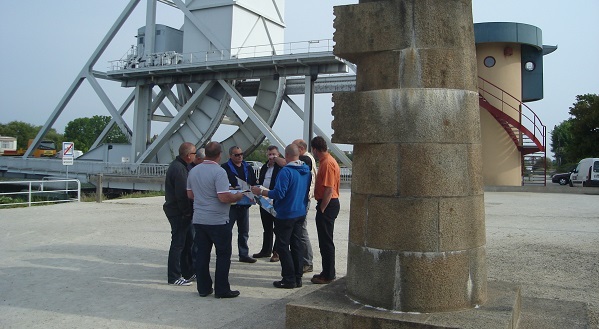 The best tour guides, have a real knack for relating stories that bring history alive and Malcolm has the passion and the interest in the subject that make the D-day experience with him something very special. …I wanted to thank you for being so accommodating at the last minute (twice)… Thanks for offering to put us up at your property and then eventually changing our private tour date that allowed us to catch a ride to Mont St. Michel. Also, your lunch box you prepared for our tour day was delicious – in particular the ham and cheese baguette, and the wonderful homemade apple cake dessert – loved it. Good job ! Malcolm, like me, has found later in life, what he is truly built to do – relate incredibly important history that changed the world (in a very positive way) and show where it all happened. Malcolm’s wife, Alison, provided delicious breakfasts every morning, lovely lunches to be eaten while on the tour , and grand dinners. We ate in their dining room and they made us feel like old friends rather than guests. The cottage we had was spotless and decorated with care, plus, after Malcolm picked us up at the airport Alison had a basket with bread, cheese and other treats waiting for us. We have traveled to many places and this tour and the wonderful accommodation/meals are at the top of our list of 5-Star experiences. History Brought Alive. Although we were pretty ignorant about the D-Day Invasion and had no personal connection to that part of WW2, it was a subject that interested us. So we did a detour from Cape Town, South Africa, via Normandy en route to see our family. We spent three nights with Alison and Malcolm Clough in their lovely home in the country and Malcolm was our personal guide for 2 full days. Kate Downes, Phoenix, Arizona, USA. Kim Crawford (US Citizen), Shanghai, China. Malcolm, … thank you again for the wonderful day we spent touring with you last week. Matthew’s father is visiting (he is the big military buff) and we can’t wait to tell him all about the places you showed us and the stories you shared. 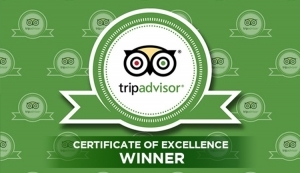 I will be writing a review praising your tour on Tripadvisor … and Alison, who made our lovely lunch. Thanks again and I truly hope we get to visit France again soon — and perhaps stay in one of your cottages! ‘Many thanks again for such an enjoyable tour… James and Daniel have not stopped talking about everything they saw. I am sure they will be telling everyone about it once they are back at school. I am sure we will be in touch again. C. Wootton, St Albans, U.K.
Karin Yeatts, North Carolina. USA. Alan & Julie Evans, Sutton Coldfield, UK.